abstract	 The purpose of this book is to present the current state of knowledge in the field of energy harvesting using piezoelectric and pyroelectric materials. The book is addressed to students and academics engaged in research in the fields of energy harvesting, material sciences and engineering. Scientists and engineers who are working in the area of energy conservation and renewable energy resources should find it useful as well. Explanations of fundamental physical properties such as piezoelectricity and pyroelectricity are included to aid the understanding of the non-specialist. Specific technologies and particular applications are also presented. This book is divided into two parts, each subdivided into chapters. Part I concerns fundamentals. 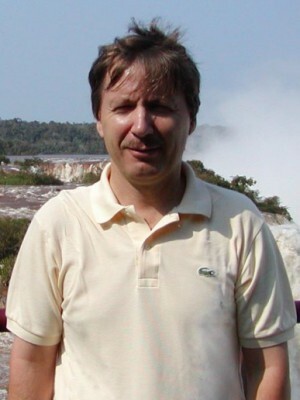 Chapter 1 reports the discoveries, standard issues and various materials involved with energy harvesting. Chapter 2 presents electromechanical models enabling an understanding of how energy harvesting systems behave. The vibration theory and designs for various piezoelectric energy harvesting structures are addressed in Chapter 3. Chapter 4 describes the analytical expressions for the energy flow in piezoelectric energy harvesting systems, in particular, with cymbal and flexible transducers. A description of the conversion enhancement for powering low-energy consumption devices is presented in Chapter 5. Part II concerns Applications and Case Studies. 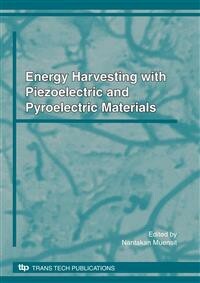 It begins with Chapter 6, in which the principles and applications of piezoelectric nanogenerators are reported. Chapter 7 describes the utilization of energy harvesting from low-frequency energy sources. There are more ways to use vibrational energy than waste heat. However, Chapter 8 presents the fundamentals of an important application of heat conversion with a copolymer. Finally, commercial energy harvesting products and a technological forecast are provided in Chapter 9.